India’s freshwater fish aquaculture sector loses an average of 25 percent of its production to disease. To help combat the problem, the Central Institute of Freshwater Aquaculture (CIFA) has created two inexpensive diagnostic kits that can detect major bacterial diseases in freshwater fish. CIFA senior scientist Priyabrata Swain told SeafoodSource the spot agglutination and spot elisa kits are meant for use in field condition by fish farmers to diagnose bacterial diseases and assess the health status of cultured fish on a regular basis. The diagnostic kits were released by the Parliamentary Standing Committee on Agriculture at Indian Council of Agricultural Research (ICAR-CIFA) recently. The spot agglutination kit costs INR 12 (USD 0.18, EUR 0.15) and the dot elisa kit costs around INR 42 (USD 0.65, EUR 0.54) each. They are available from Chhattisgarh-based firm Agrawal Trading Co., which is licensed to sell the kits nationwide, under the guidance of CIFA. Swain said that fish raised in high-density conditions, such as those found in many Indian aquaculture operations, are especially susceptible to bacterial infections. 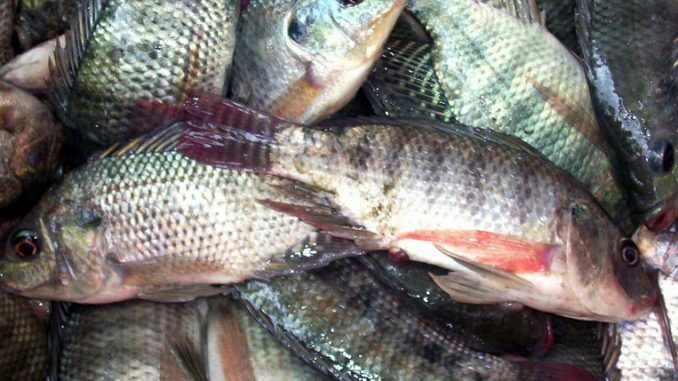 Disease outbreaks elevate the mortality rate and decrease the productivity efficiency, causing high economic losses for fish farmers, he said. “The company is only mandated to sell these in India and not allowed to export it to other countries,” Swain said. As vertical expansion of fish culture with diversified species and higher stocking density has resulted more frequent occurrence of bacterial, parasitic and viral pathogens, farmers have increasingly called for technological interventions and application of suitable diagnostic and control measures, Swain said. According to CIFA, major bacterial diseases encountered in Indian aquaculture include ulcers, red diseases, septicaemia, aeromoniasis, and gill diseases. Red disease is especially common in carp farming and can occur throughout the year, especially culture duration of carp farming. Other bacterial diseases, such as edwardsellosis and bacterial gill, occur mainly during winter, while columnaris and vibriosis hit their peak potency during summer and rainy season.